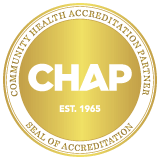 Newburgh, N.Y. - March 9, 2019 - EverCare At Home, a Certified Home Health Agency in the Hudson Valley, is hosting the 11th Annual World Elder Abuse A..
EverCare At Home, EverCare’s Certified Home Health Agency (CHHA), has recently been awarded “deemed status” and the seal of excellence by Commun.. The EverCare team celebrated the holiday season "masked in mystery" on December 7, 2018. To see photos from the Masquerade Ball, click here! FLU BASICS: "Flu" is a contagious respiratory illness caused by the influenza virus.Symptoms include:Fever Cough Body aches Chills.. The EverCare team got together and celebrated Halloween on October 31, 2018. Take a look at our team's spooky costumes!For pictures from the event.. Besides a BIG BRIGHT SMILE… …healthy teeth and gums make it easy for you to eat well and enjoy food! TOOTH DECAY Brushing and flossing may redu..
Evercare wishes to help spread the word and offer useful tips to prevent falls and injuries. IMPORTANT FACTS & FIGURESEach year, millions o..
We're celebrating National Rehabilitation Awareness Week to help show our appreciation for all that you do to improve lives!Monday, Sept. 1 B..
What does lunch look like around the world? We invited our Social Day Clients to find out! Friday, August 31 we all enjoyed live music and a potluck l..
Come one, come all! Step right in for the greatest family BBQ on earth, Saturday, Sept. 8 at Chadwick Lake Park, presented by EverCare's Employee..